Paw Paw Picnic Area is not only a nice place for a picnic, but it can also be starting point for a bike ride or hike in the Royalview area of Mill Stream Run Reservation. A winter sledding hill suitable for families is located here. There are no restrooms located at this picnic area. 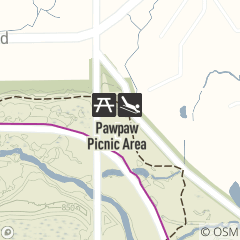 Paw Paw Picnic Area is located off the Valley Parkway in Mill Stream Run Reservation, just east of W. 130th Street in Strongsville.